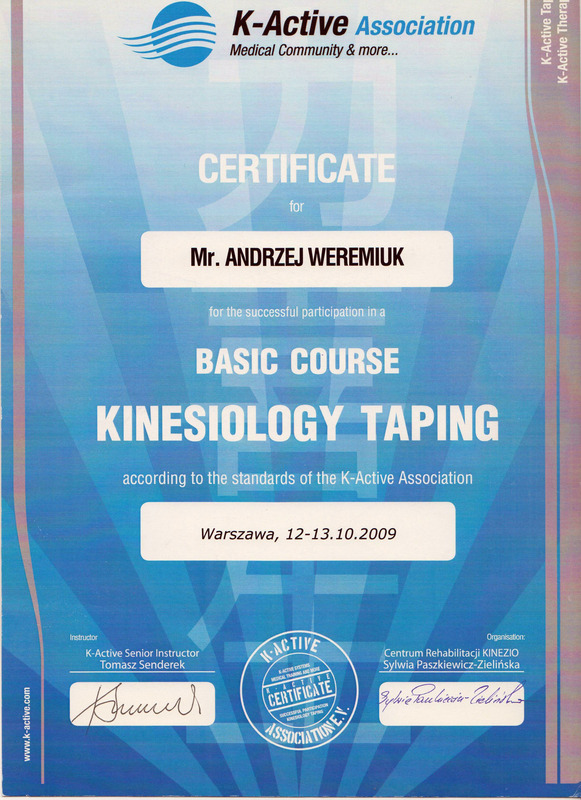 Using a combination of soft-tissue massage, mobilization and manipulation techniques and exercise prescription, we have developed a hands-on approach to therapeutic massage, specifically informed by not just one but a variety of different perspectives. Collectively we have treated a long list of patients, whose ailments include back pain, stiff neck, sciatica, arthritis, scoliosis, frozen shoulder, rotator cuff tears, neck and back injuries, stroke, heart disease and many more; we have also provided relief to clients who are in recovery from surgery or accidents. Committed advocates of self-awareness and holistic health, we strongly believe in the power of regular massage sessions, which are designed to promote relaxation, stress reduction and allow your body to heal itself. We also believe in working with the patient, whose input we welcome at all stages of the treatment; whether it’s an aching back that you are suffering from, or simply the headache and stress from a difficult day, we adopt a mutual approach to solving your problem, and our expertise will factor in whatever makes your case unique. PRO Massage’s mission is to provide a quality therapy and massage services to individuals of all ages with an injury or medical condition by a team of highly skilled professionals. We strive to enable customers to achieve their optimum level of physical functioning, through detailed assessments and the fastidious development of individual recovery programs to help them return to an active lifestyle. Our goal is to facilitate and maximize recovery and functional mobility following a musculoskeletal or neurological injury. We are a team of fully qualified massage therapists with long-term professional experience and a thorough understanding of the human body. Thanks to our extensive knowledge of anatomy, physiology and biomechanics, as well as our acquaintance with new techniques, we are able to diagnose and treat not only your symptoms but also any underlying causes. We believe that the service we offer reflects a level of knowledge, experience and training which will save you money in the long-run, assuring not only an effective recovery but significantly reducing the chance of future recurrence. 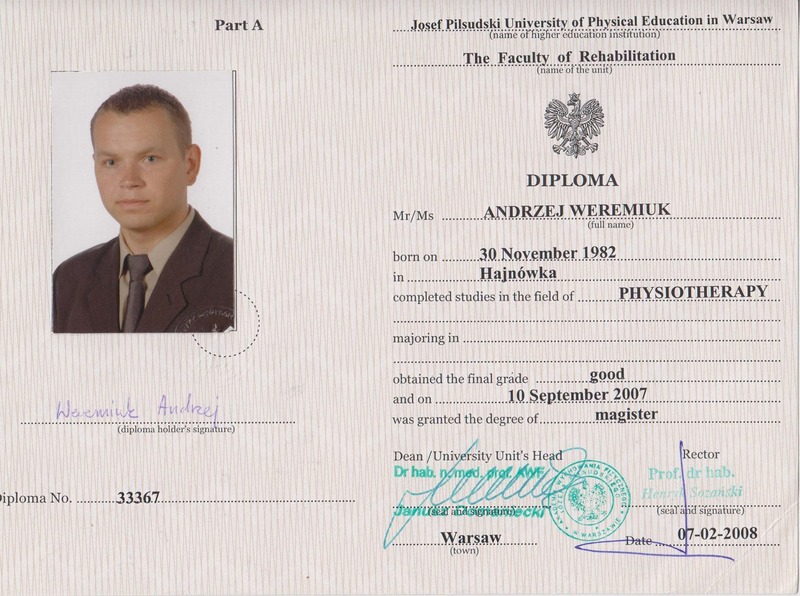 I’m a professional massage therapist with master’s degree in physiotherapy. I have been treating patients since 2004. When it comes to selecting a therapist, education, experience and professionalism are top criteria, however, it is the therapist’s particular way of channelling these strengths that can have a really meaningful impact on treatment. With the aim of not just fixing the problem but improving the patient’s overall quality of life, I adopt an open-minded, multi-causal approach to therapeutic massage, which involves listening to the patient and determining the precise nature of the signals that their body is giving out. From this vantage point, a small number of focussed sessions can reverse a problem that has been dragging on for years. As such, I provide a receptive, tailor-made service that you will not easily find elsewhere, plus a wide variety of massage options to cater for individual concerns. I am a licensed acupuncturist and Chinese medicine practitioner. 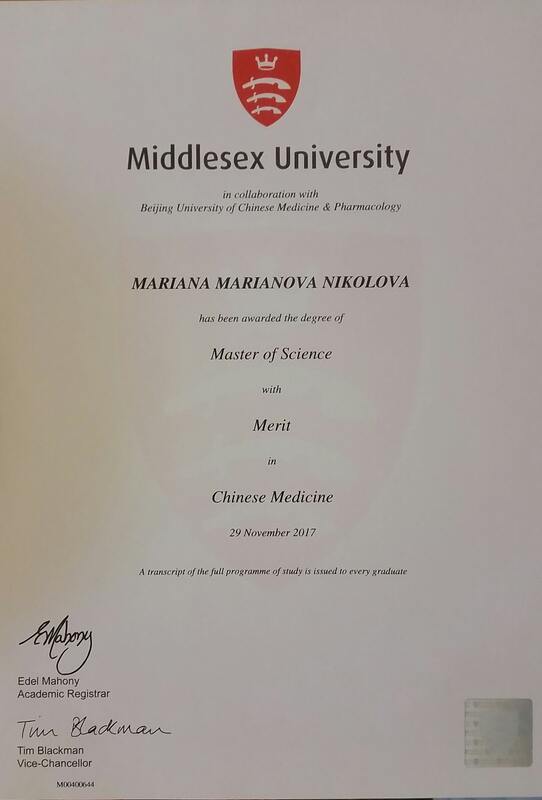 I hold a Master’s degree from Middlesex University, where I underwent extensive training for 5 years in acupuncture, cupping and Chinese herbal medicine; as well as human anatomy, physiology and diagnostics. 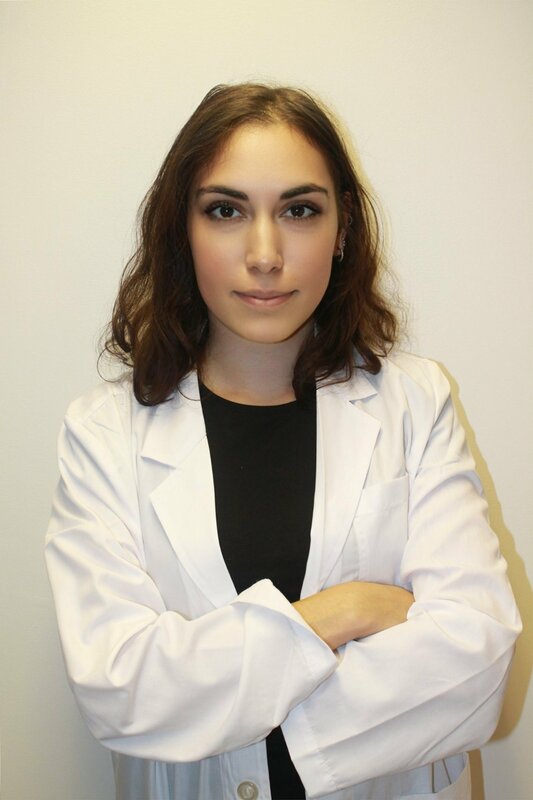 To date, I have accumulated 6 years of experience from placements in university clinics and hospitals across London and from working fulltime in private health clinics since graduating. 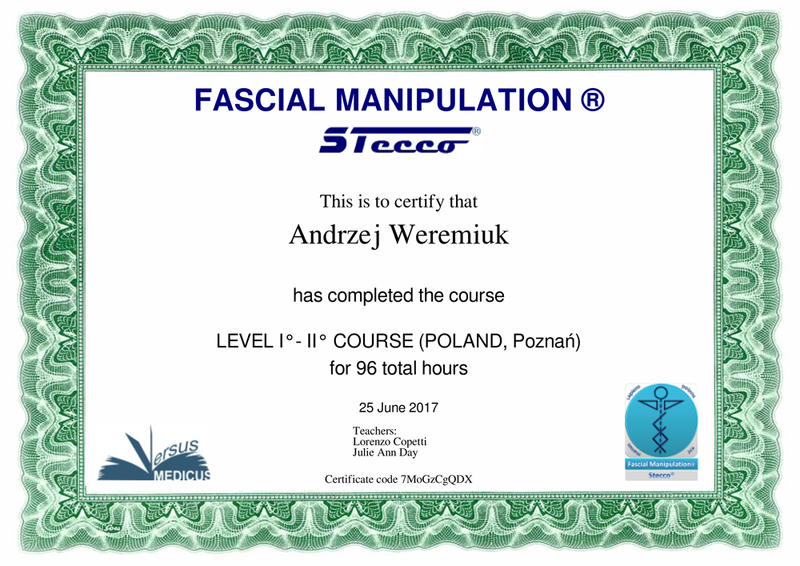 I apply my knowledge and experience in treating many different conditions, specialising in the treatment of musculoskeletal and neurological pain, stress, anxiety and insomnia, digestive and respiratory disorders; as well as in acupuncture for weight loss, facial rejuvenation, smoking cessation and IVF. I use a tailored approach to every individual in order to maximise the effect from the therapy and treat everyone with compassion and understanding. Whether it is your first acupuncture session, or you have had many before, I will be able to advise you and suggest the best treatment option for you.